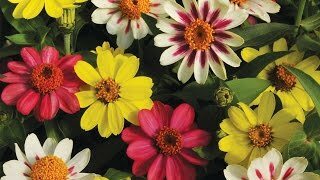 These large, versatile, lush blooming annuals with intensely colored 3" blooms provide a great groundcover for trimming walks and beds. Plant alone or mix with other plants in containers and hanging baskets. For quicker coverage, space plants closer together. Heat- and drought-tolerant, they are perfect for dry soils. 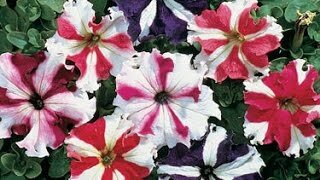 Petunia, Wave® Purple Hybrid is rated 4.6 out of 5 by 30. Rated 5 out of 5 by Pgh grower from Absolutely gorgeous Prolific blooms and the most radiant magenta-purple color I've ever seen in petunias. Rated 5 out of 5 by JMG45 from come back yearly! I have a customer who planted wave petunias at my farm and they have come back every year for at least 3-4 years now. They are in a very sunny bed area and can tolerate dry conditions for awhile. Love these!! Rated 5 out of 5 by Angelpuff from Breautiful I bought several plants and now have three pots overflowing! Rated 4 out of 5 by Stephdaughter from Amazing Recovery! I ordered these for my mom for Mother's Day and she said they were really sad but still alive when she got them. She got them planted, waters them every day and now they look great! She also said she was glad I got her purple ones because purple and pink are about the only petunias that will grow in western Kansas where she lives. Rated 5 out of 5 by William S from Purple Wave Petunia Very reliable germination and plant vigor. I have used this variety from Burpees for many years and never been disappointed. Plants look great! Rated 5 out of 5 by Wayne R from Fantastic plants! I started these from seed under fluorescent grow lights. They're beautiful around my deck with an average of 140 blooms at any given time per plant. My attached photos while still looking great show less blooms due to heavy rain each of the last 4 days. Plants spring back to attention and flower production daily. Rated 5 out of 5 by Mimi95 from Blossoming color waves This is the second year I have bought the Purple Wave Petunia. I bought other Petunias from a local nursery and let me just say the ones from Burpees are 100% better. Next year I will be buying all my flowers from Burpees. Rated 3 out of 5 by Deltarn2 from Nice petunias...but they aren't PURPLE! These took 10-12 weeks to be just large enough to plant. They are definitely not purple-which is why I bought and started seeds. Once started, they are hearty, pink petunias.